We did not investigate or otherwise verified the data provided to us and we do not express any opinion or offer any form of assurance regarding its achievability (especially of the business plan), accuracy or completeness. We performed neither an audit nor another similar review of the source data and documents that were submitted to us. These data and documents are entirely within the competence of the Client’s representatives and we are fully reliant on them as well as some assumptions as stated in the report. Subject to our obligation to conduct our work with reasonable skill and care, we have no liability for any loss or damage, of whatsoever nature, arising from information material to our work being withheld or concealed from us or misrepresented to us as per the information provided to us by the client. In case of a significant change in key assumptions, the results of our valuation analysis may materially change as well. We understand that the Company has announced ICO as part of its expansion plans and that our Presentation might be used as one of the documents underlying the ICO and might be disclosed to potential investors. Our valuation analyses do not offer investment advice and nothing in it should be construed as investment advice. The information contained in our valuation is not, and should not be read as an offer or recommendation to participate in. All the figures mentioned in the report are purely based on the data researched, white paper and reliable sources from the internet. Actual results may vary depending on the change in assumptions, movement of the market, and actual performance of the company. RPAY is a revolutionary approach to Retail and Trade. It is built on an ecosystem of P2P connected nodes with no servers for transaction authentication, ensuring a completely decentralized backend built over blockchain technology. RPAY leverages web 2.0 to allow users to interact and exchange value directly, eliminating the need for middlemen, which in turn, banishes fees, overhead restrictions and the inherent delays in transaction and settlement. RPAY’s vision is to make cryptocurrency mainstream and achieve widespread adoption by enabling everyone to pay using crypto for retail and services in this Blockchain Era. It aims to do so by providing seamless user experience without the need for a steep learning curve, yet retaining the security, transparency and usability of cryptocurrency. RPAY will allow users to shop for retail products, consumer and professional services, using R-tokens, which is an inherent cryptocurrency fuelling the RPAY platform. The power of community will assist consumers to make verified purchases and save approximately 50% to 90% on transaction costs for products and services they love and use in daily life! RPAY is filling a major gap in the industry by facilitating the value proposition offered to e-commerce consumers who can leverage the platform to purchase goods at a significantly lower transaction cost, on a global platform operating on a single token model, powered by RPAY’s innate cryptocurrency – The RTK Token. The website and mobile application will make it seamless for users to use their accounts and access them from any location. The platform will have a thorough description of every product along with user reviews. Users will be rewarded for providing reviews on products and only registered buyers will be allowed to review a particular product. This would ensure genuine reviews and will enable buyers to make informed decisions. RPAY’s differentiating factor is its monetization model, which is based on R-Tokens’ growth rate, as opposed to charging transaction fees from consumers. As the utilization of R-Token increases, its cost will go up, ensuring higher turn around for RPAY and further driving revenue by providing low-cost support services to the existing ever-expanding marketplaces, which for example will need a full-fledged financial support system to facilitate the monetary transactions. RPAY will separate itself from the crowd as being the only company offering decentralized eCommerce marketplace, being built using blockchain technology, with the opportunity to be the first to market, monetize and operate on the scale through its own community of buyers and sellers. Legislative Changes: Legality of cryptocurrency is one of the major factors affecting the price of the coin. And most importantly the legal implications in the country of the origin of the coin. 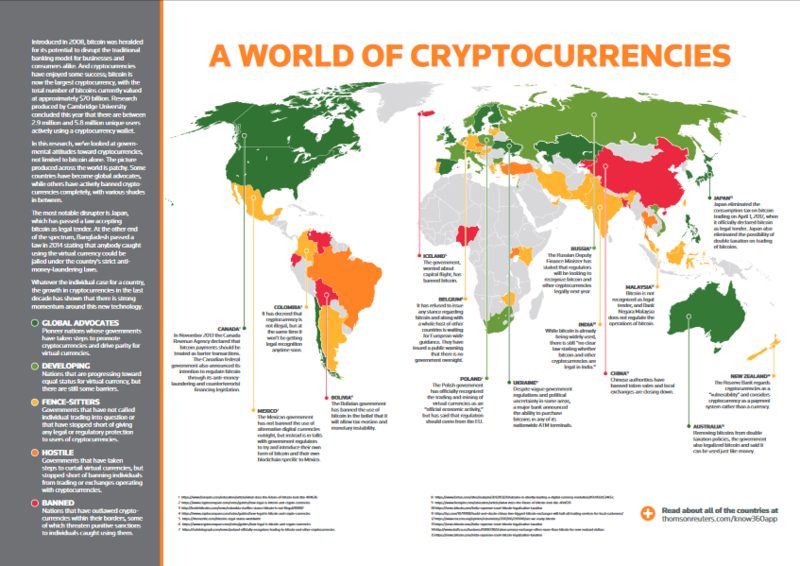 The legality of cryptocurrency varies from countries to countries. Some countries have already made legal the use and trade of cryptocurrencies, such as Australia, Belgium, Netherlands, Switzerland, UK and many more. While some big economies have already banned it and announced it illegal such as China, Bolivia, Ecuador etc. And there are other countries who are in the decision-making process such as India. Price Surge & Decline: The country of origin of the coin if makes the use and trade of cryptocurrency legal/illegal than we can see a surge/decline in the price of the coin. The same effect can be seen if the major economies legalise cryptocurrency and vice-a-versa. Another major contribution to price surge/decline can be the country’s making it legal/illegal in which coins major market is. for example, if the main feature and market of the coin are Automobiles and spare parts then the legislative changes in Germany, US, China etc can have an effect on its price. In the beginning of 2017, Japan announced that it will recognise Bitcoin as a legal tender. There was an initial surge in the price as Japanese individuals and corporations alike scrambled on exchanges to secure bitcoin for future purchases. Australia quickly followed and also announced 10% GST on it. A totally opposite scenario was seen when China announced that the Coin fundraising (ICO) is illegal and instructed companies to refund the money raised through ICO. During this period many cryptocurrencies crashed down by more than 50%. Even very stable currencies such as Bitcoin crashed substantially. Also after the recent trend where South Korea announced banning crytpocurrency trading and China planning to put a stop to bitcoin mining has caused the market to lose around $ 30 billion and almost all coins are bleeding. Effect on RTK Token: Applying the above modus operandi we can say that RTK Token will see a great price rise when Indian government legalises the cryptocurrency market. There are other sub-factors such as taxation, government intervention, increased compliances etc., that can also have added effect to the price of the coin. And an equal drop can be witnessed when the government declares it illegal.  As the operations of the company, market and customer focus is India, the effect on the coins price will be severe. Economic and Political Stability: Citizens trust in the economic and political stability of the country is the driving factor for the overall growth of the cryptocurrency market. To explain this better let’s take the most recent example of the ‘Demonetisation’ that took place in December 2016. More than 85% of the notes in the circulation were overnight turned into scrap. Such sudden political decisions will make citizens rely more on decentralised digital currencies. This increases a sense of financial security among the citizens. Effect on RTK Token: With regards to the economic and political situation in India the scenario is kind of a mix. Poor and Middle-class people are investing heavily into the cryptocurrency with the hope of becoming rich quickly and higher class people are investing with the hope that their wealth is secure from any sudden economic reforms. But due to lack of investor knowledge and with no definite stand of the government, there is a lot of untapped market and potential. The price of RTK Token will increase exponentially in the coming years taking into account the current conditions. Increased focus and popularity: Bitcoin and other cryptocurrencies are becoming more and more popular. It has become a hot topic for not only financial mavens but also for people from different sectors and professions. Now we can see it in many financial journals, newspaper headings, pundits talking on the future of the cryptocurrencies and its implications, acceptability etc. 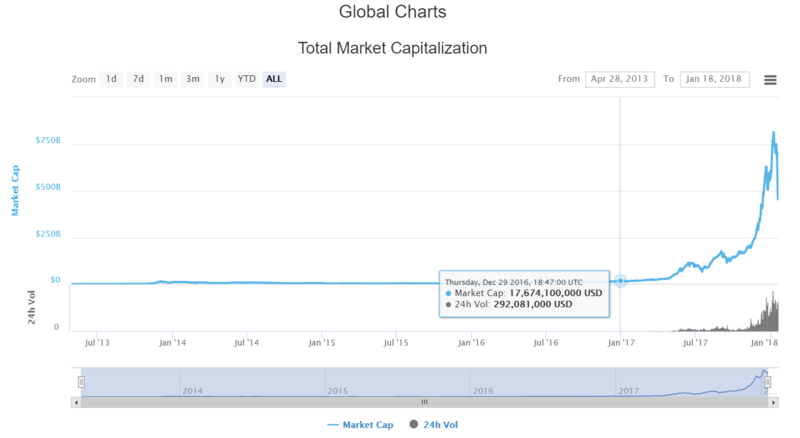 Effect on RTK Token: If we look at the above graph we can see that the total market capitalisation as on 09/01/2018 was $ 710 billion. The very interesting thing to observe is the Bitcoin’s dominance. In the mid of November 2013 the percentage of Bitcoin market capitalisation to Total market capitalisation was 96.22%. But now three years down the line, the dominance of Bitcoin has decreased exponentially to mere 39.22%, whereas Ethereum which was launched on 30th of July 2015 is having a market dominance of 31.12% in just two years from its launch. 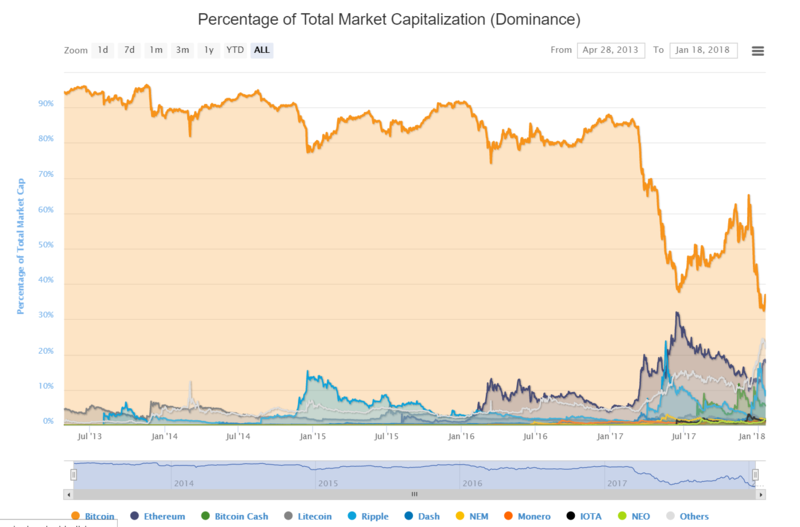 This clearly shows that Bitcoin’s dominance is falling and the scope and the need for improved cryptocurrency is very much required and welcomed. The total market capitalisation in the beginning of 2017 was just $17.6 billion and now it has been rocketing to new heights of $710 billion. Economists and market reseachers predict that the total market capitalisation will cross $ 2 Trillion in by the end of 2018. If taking the facts, figures and economics as the basis of speculation then the price of one RTK Token will increase by 400 to 600% in coming six to eight months. Competitors and New entrants in the industry: The prices of the coins in a particular industry will have a great variation due to new entrants and competitors. We have a great example of Bitcoin cash, Ripple and Ethereum emerging as dominant currencies. This has decreased the price growth of Bitcoin. New coins are coming into the market with added features, more security, acceptability and more simpler to use and most importantly for common people which increases their user base. One added feature can make a lot of difference and divert the user base from one coin to another. Effect on RTK Token: The area in which RPAY is working already has few existing competitors such as humaniq.co and ins.world with slightly different business structure, but in coming years RPAY will have to face a number of new entrants which will have an adverse effect on the price of the coins. It is estimated that one new entrant may drag the value of the coin by more than 300%, conditioned to the RPAY’s market reach and establishment, more the company established and stable, less will be the movement in the coin and diversion of the user base. Growing interest in Institutional Investors: It is interesting to note that more and more institutional investors are investing in cryptocurrencies as the rate of return on the cryptocurrency investments is manifolds as compared to investments in stocks and fiat currencies. Regulation is one of the barriers for institutional investors to go all in cryptocurrencies. Once the regulations are in place, we will witness heavy investments in new ICO’s and potential projects. Public statements: The de-centralised characteristics of the cryptocurrencies has its boon and banes. One of the major risks that the cryptocurrency market is facing is the price fluctuations due to statements by public figures, influential people and government bodies. There is no stability in the market due to no regulatory body or lack of governance. The recent tweets by John Macafee as ‘the coin of the day’ were creating artificial demand for the coin and the prices of the coins tweeted were pumped. A similar situation was observed when the James Dimon CEO of J.P Morgan made a public statement that the cryptocurrency is a fraud and a bubble, causing the market to crash severely and many more such situations were observed such as China’s ban statement. The price of RPAY may also see a temporary dip or a pump in such scenarios. Unless and until a clear framework and regulations are not put in place such price manipulations will arise. One of the major concerns is lack of investor awareness and knowledge. One wrong statement about the coin can push away the investor. This can cause a great harm to the company’s established image and value of the coin. It is informed that total 2.2 million coins were sold during Pre-ICO, rest were burned. It is assumed that out of total tokens out for sale, 70% and 60% will be sold in ICO phase 1 and ICO Phase 2 respectively. It is assumed that roughly one coin will be valued at $0.87 considering the bonus coins issued free of cost. In the bottom-up approach, one would start with the existing market size of R-Pay and make assumptions on the rate of growth of that market. 1 Initial Coin Offering January 2018 $1.00 This is the price at which company will launch its ICO. 2 Initiate On Boarding of Retailers January 2018 $1.00 Price will remain stable as it is yet to hit exchanges, the company is in process of creating demand for the product. 3 Release Alpha Version March 2018 $2.00 Once company releases alpha version, sufficient buzz is there in the market, many users become aware of RPAY and price will shoot to some extent. 4 Retailing with R-Pay July 2018 $4.00 It is assumed that price will double in this period as the company will hit exchanges and lot of people will buy as they see more visibility in company’s product. 5 Business Development & Launch in other Countries October 2018 $10.00 As the company will launch its products in different countries and is accepted there, the demand for the token will surge and the market will be created there. 6 Professional Services January 2019 $18.00 This will be a game changer for RPAY to integrate services into their professional services. 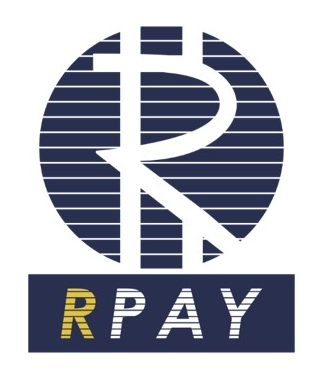 7 R pay Mall May 2019 $51.00 Rpay Mall will integrate thousands of merchants and millions of users in their portal and here there are strong chances that price will surge as more people will see the utility in the product. 8 Business Development & Continued partnership December 2019 $80.00 As there will be mass adoption in the R pay mall and presence in various countries there will be continued demand for the coin and utility of coin. *Events mentioned in the whitepaper are used as basis for evaluation of price in the report. In this method, the total market growth rate is anticipated along with the growth rate in the sector in which the company is operating. Thus the total anticipated market capitalisation divided by the number of coins is taken into consideration to arrive at the price of the coin. No one method can be applied to value the future price of the coin and neither does any method guarantee the exact future pricing of the coin. But we believe that the combination of the Freedman’s Theory and a deep study of the closely related competitors can give a more realistic view of the coins future price. Also, we recommend that a calculation for re-pricing estimation should be done after the ICO is complete. This will give an idea about the funds raised and how much of the commitments made in the white paper will be fulfilled. This will have an ongoing positive effect on the price of the coin. ICO statistics will give an information about the number of users who signed up and believe in the project. Secondly, the final figures from ICO sale will help us in building a DCF model and other financial projections. A coin forecasting report made with the use of strategic financial methods backed by economic factors and ongoing coins progress and market scenario and pre-established competitor’s in-depth study will be a better approach. https://www.ccn.com/6-factors-pushing-bitcoin-price-2017 (Last accessed on 09/01/2018).